1.1.1.1 At what age does a Pomeranian stop growing ? The Pomeranian is a small, compact, dainty dog. He displays great glamour with his crowning glory- a dense, double coat, made up of long, harsh, standoff guard hairs and a soft woolly undercoat. 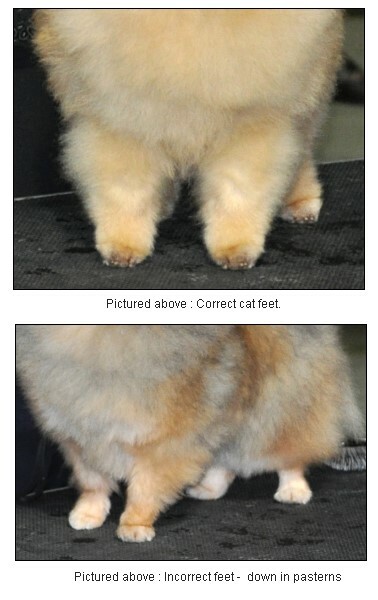 A Pomeranian has a short coupled solid body, fine boned, short neck, neat and compact cat-like feet. 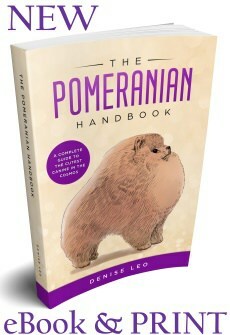 The Pomeranian should move soundly with grace and style. 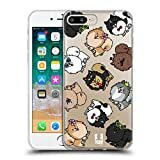 How big do pomeranian dogs get ? 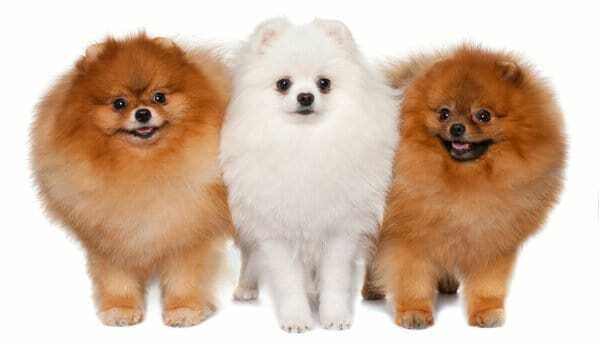 The Pomeranian ideally weighs 4 to 5 pounds (1.8 to 2.5 kg) but may weigh 3 to 7 pounds. The female Pomeranian is preferred to be a little larger than the male Pomeranian dog. At what age does a Pomeranian stop growing ? A Pom dog is officially classed as a Pomeranian adult at 12 months of age. 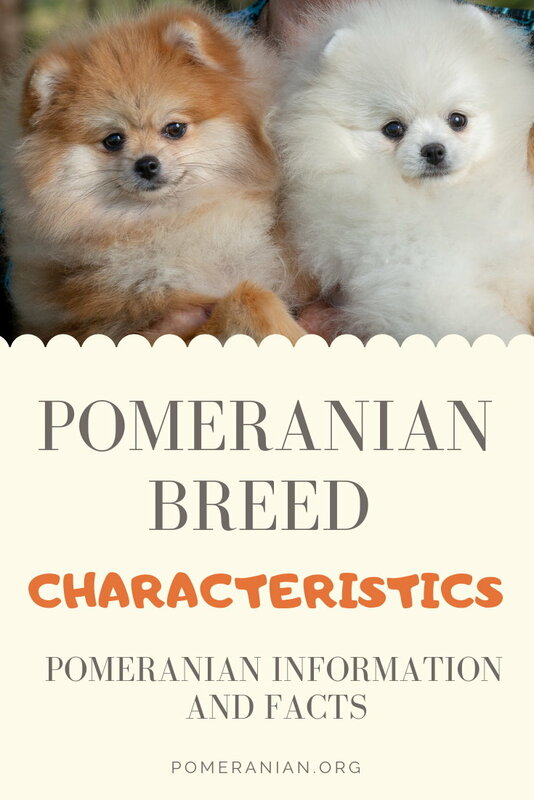 The Pomeranian personality makes this dog a delightful family member. 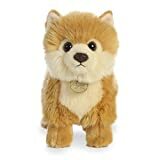 He may now come packaged in an extremely small parcel; however he has not forgotten his heritage and Pomeranian behaviour can be similar to that of an enormously large husky dog. Pomeranians as pets are loyal and devoted. Other Pomeranian traits include loving, mischievous, affectionate and incredibly energetic. A correct Pomeranian head should be wide behind the jaw and come gradually to a fine muzzle. A lengthy muzzle results in the loss of the essential wedge and the Pomeranian will have a shepherd like look. If the jaw is far too short, the Pomeranian will possess a muzzle much like a Chihuahua. The skull should not be round domed in shape. 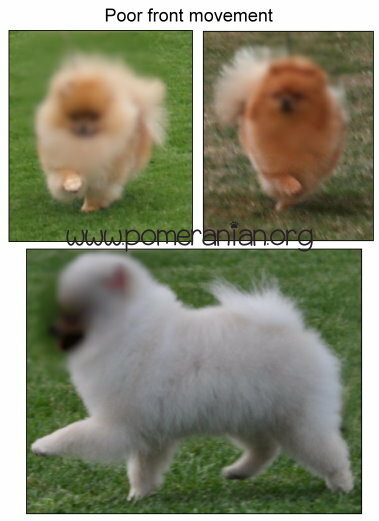 Pomeranians with abundant head coat may often give the illusion of having a rounder shaped head than desired. 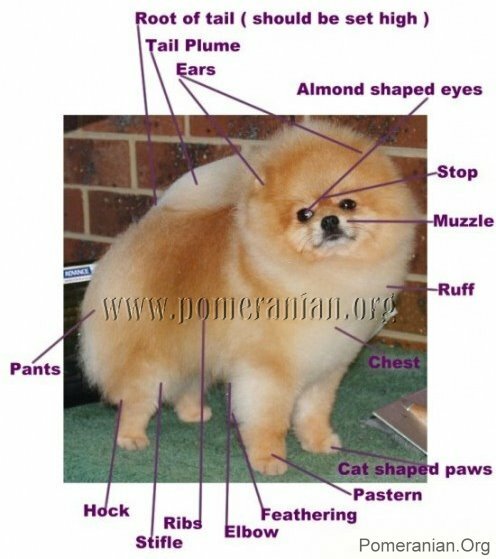 Run your fingers over the Pomeranian’s skull to determine the exact head shape if in doubt. The Pomeranian’s head must have a moderate stop. Need to be small and well positioned (not set too low down). I have never seen a Pomeranian with ears too small, usually the problem is the ears are either set too wide apart, too large or both. Should be dark, medium sized and most importantly, almond shaped. 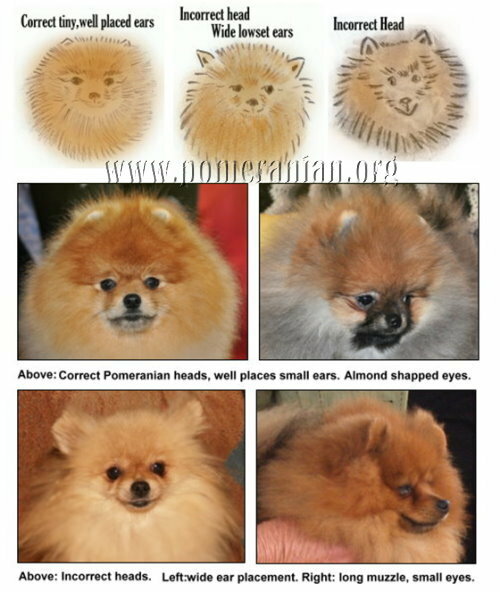 Incorrect eye shape and that important Pomeranian expression is lost. 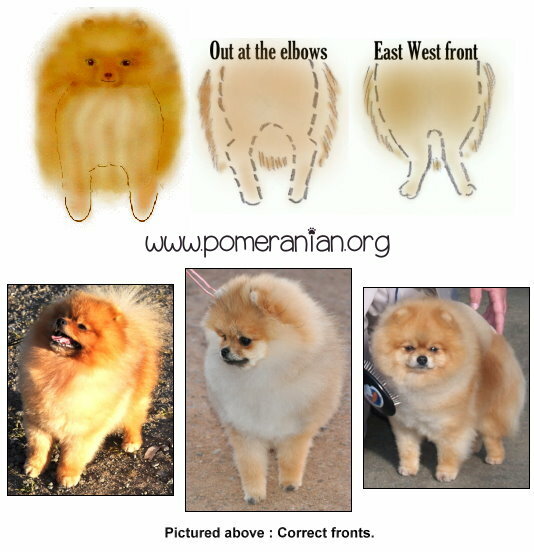 As a standard guideline, the tip of the nose to the stop and from the stop to the back of the head will measure 1:2 in the majority of Pomeranians. Puppies have 28 temporary teeth which start erupting at 3 to 4 weeks of age in most toy breeds. Poms should have 42 permanent teeth by the time they are 6 to 8 months of age. The Pomeranian is required to have a scissor bite with the top incisors slightly in front of the bottom ones. Pictured above: Examples of Pomeranian dog tails. With the tail being an unique characteristic of the Pomeranian breed. 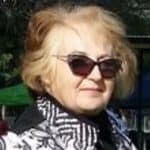 The Pomeranian tail or as sometimes called the plume is profusely covered with long, harsh, straight hair and should be carried high and flat over the back. The tail hair spreads out in a fan shape. Buttocks are well behind the root of the tail. If the tail is set high on the end of the backbone, it should not have the feel of a hard bone pressing into the palm of the hand when the palm is placed flat aganst the tail root. If the tail root has a twist to the set, the tail will not lie flat but will fall over to one side, no matter how high the set, with the plume. Proper high tailset has no feel of boniness. Pom tails should not be curled, nor it should it fall to one side. If the tail is set low, the bone will press into the palm of the hand when the test is made, and the root can be seen to protrude outward and upwards instead of disappearing into a flat plume up the back. Extremely low tail set will cause the tail to circle upward in a “squirrel” tail. The tail should not be curled, nor it should it fall to one side. 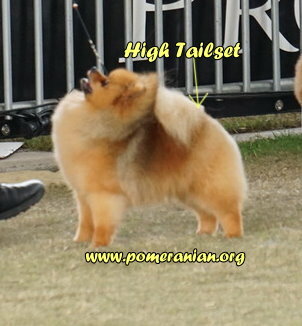 A low tail set spoils the outline of the Pomeranian. 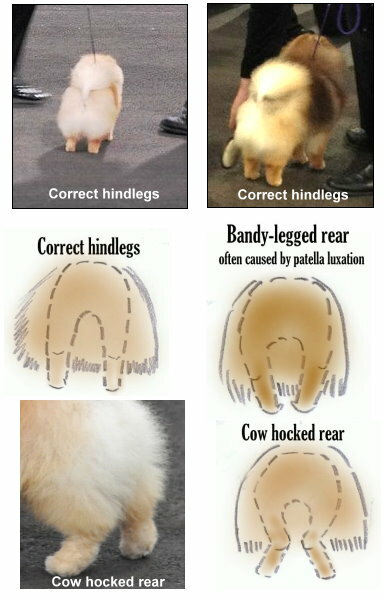 Pomeranian tails which are tightly curled or even kinked are a fault. 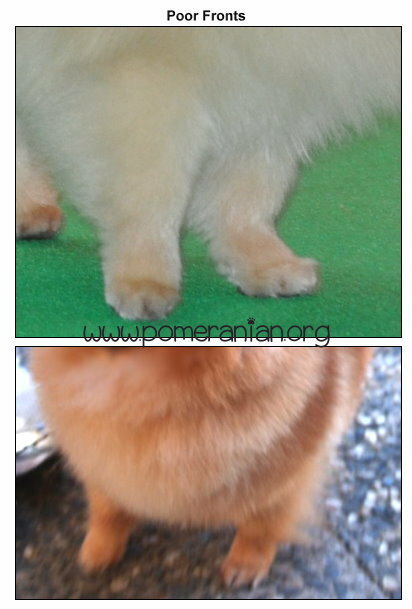 Judges can be observed running fingers along Pomeranian tails during the examination at dog shows. 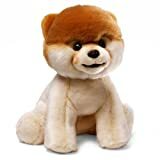 Pomeranian puppies may inadvertently damage their tail during rough play with other Pomeranian pups, so care must be taken to not allow any rough play with your Pomeranian puppy. High stepping, paddling in the front and high kicking rear legs are incorrect. Single tracking, very close or weaving front or back movement usually indicates lack of body and is incorrect. Angulation of the hindquarters must balance front angulation. Viewed from behind, the pom’s legs are straight and parallel to each other. Viewed from the side, his buttocks are well behind the base of the tail. Hocks are perpendicular to the ground. 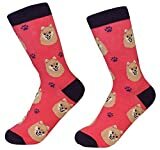 A Pomeranian’s feet must be small, compact and resemble a cat’s paw with strong and straight pasterns. The feet are well arched, compact and turn neither in nor out. He stands well up on his toes. Long thin feet with spreading toes or down on pasterns are undesirable. When trimmed the feet should look like an extension of the legs with only a small definition.